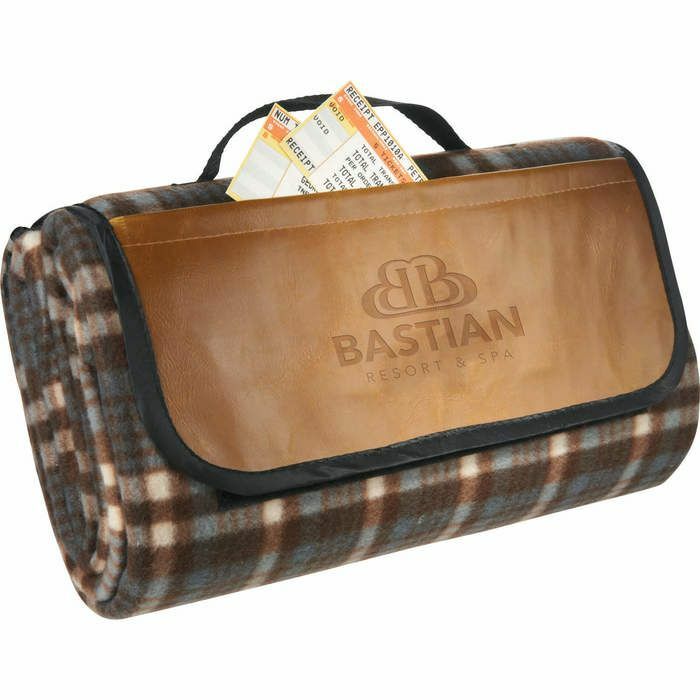 Make your picnic perfect with this Picnic blanket. This blanket features comfortable polarfleece with foam padding and PEVA backing. The 11” x 4.5” pocket is perfect for storing mobile devices or any other picnic necessities.